Bosc, 1801, Hist. Nat. Coquilles 3: 146. Dillwyn, 1817, Descr. Cat. Rec. 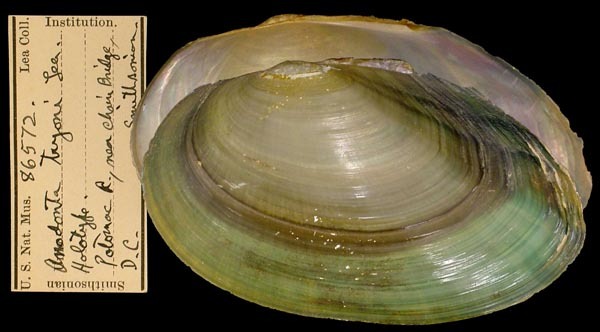 Shells 1: 316 [’Mytilus fluviatilis’]. Bosc, 1824, Hist. Nat. Coquilles 3: 143. Say, 1817, Nich. Encyc. 2: [13,] pl. 3, fig. 4. Say, 1819, Nich. Encyc. 4: [19,] pl. 3, fig. 4. Say, 1817, Nich. Encyc. 2: [13,] pl. 3, fig. 5. Say, 1819, Nich. Encyc. 4: [19,] pl. 3, fig. 5. Rafinesque, 1820, Ann. Gén. Sci. Phys. 5 (13): 316. Eaton, 1826, Zool. Text-Book: 224. 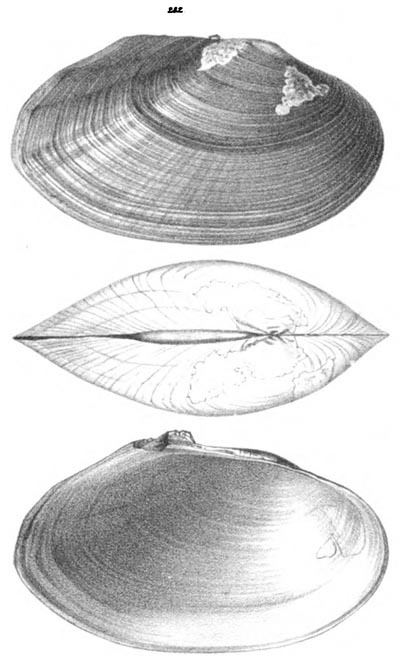 Conrad, 1834, New Fresh-Water Shells: 47, pl. 7, fig. 2. Conrad, 1853, Proc. Acad. Nat. Sci. 6: 264. 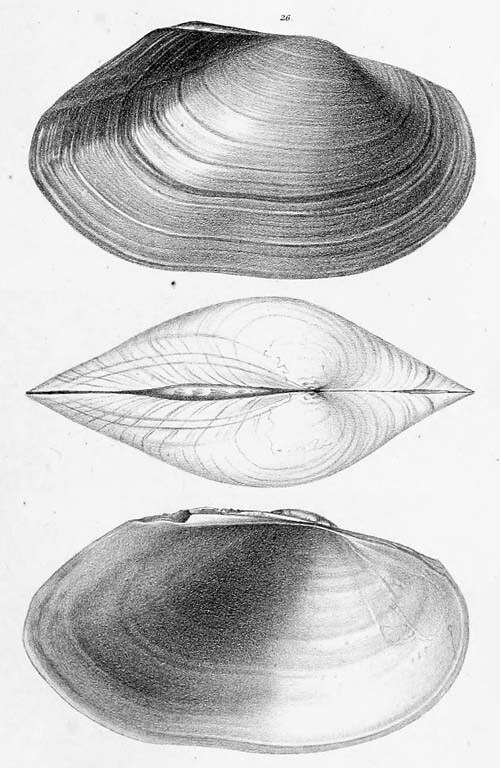 ‘Rafinesque’ Ferussac, 1835, Mag. Zool. 5: 25. DeKay, 1843, Zool. New York 5: 202, pl. 17, fig. 233. Lea, 1857, Proc. Acad. Nat. Sci. 9: 86. Lea, 1862, Jour. Acad. Nat. Sci. 5 [O. 9]: 213 , pl. 33, fig, 282. Type(s): HOLOTYPE USNM_86593, Weldon, Roanoke R., N.C.
Lea, 1858, Proc. Acad. Nat. Sci. 10: 139. Lea, 1859, Jour. Acad. Nat. Sci. 4 [O. 7]: 230 , pl. 28, fig. 99. 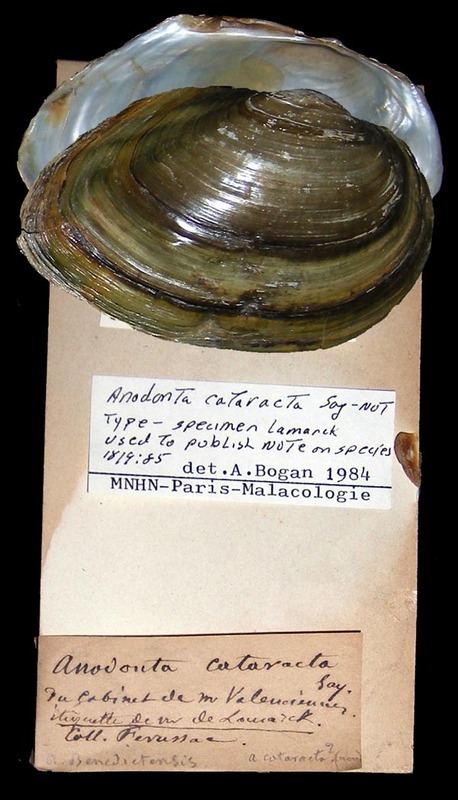 Type(s): HOLOTYPE USNM_86600, Macon (Swift Creek), Georgia. Lea, 1862, Proc. Acad. Nat. Sci. 14: 169. Lea, 1866, Jour. Acad. Nat. Sci. 6 [O. 11]: 28 , pl. 10, fig. 27. 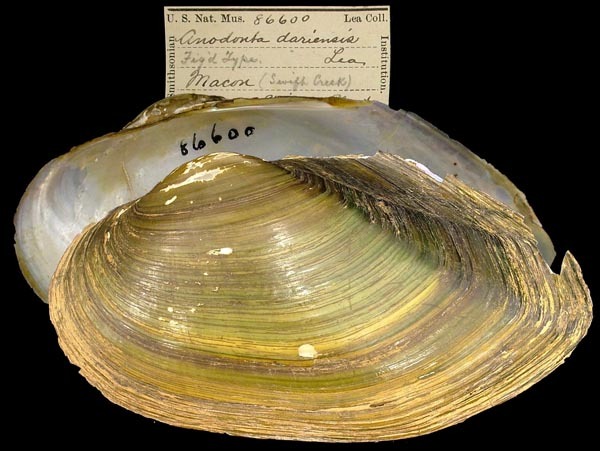 Type(s): HOLOTYPE USNM_86572, Potomac R., near chain bridge, D.C.
Lea, 1866, Jour. Acad. Nat. Sci. 6 [O. 11]: 27 , pl. 10, fig. 26. 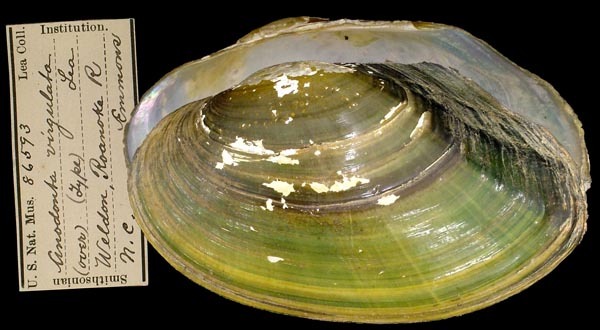 Type(s): HOLOTYPE USNM_86687, Potomac R., near Mt. Vernon, Va.
Lea, 1863, Proc. Acad. Nat. Sci. 15: 193. Lea, 1863, Proc. Acad. Nat. Sci. 15: 193 [as ‘dolearis’]. Lea, 1866, Jour. Acad. Nat. Sci. 6 [O. 11]: 24 , pl. 8, fig. 23. 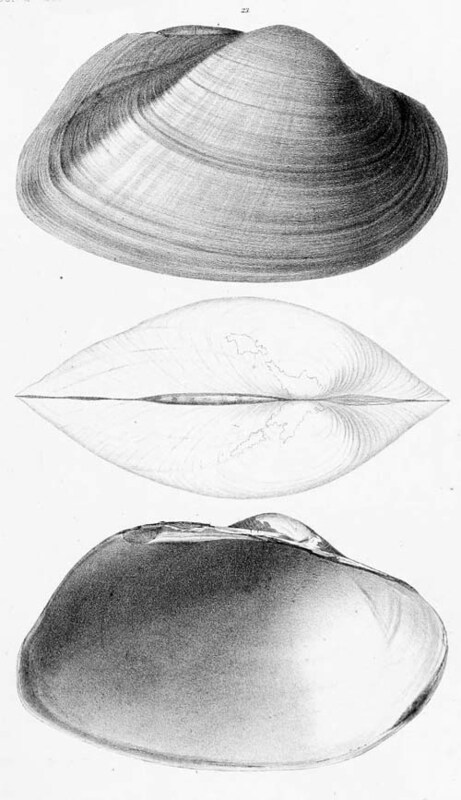 ‘Rafinesque’ Simpson, 1900, Proc. U.S. Nat. Mus. 22: 631 [as by Férussac], 648. 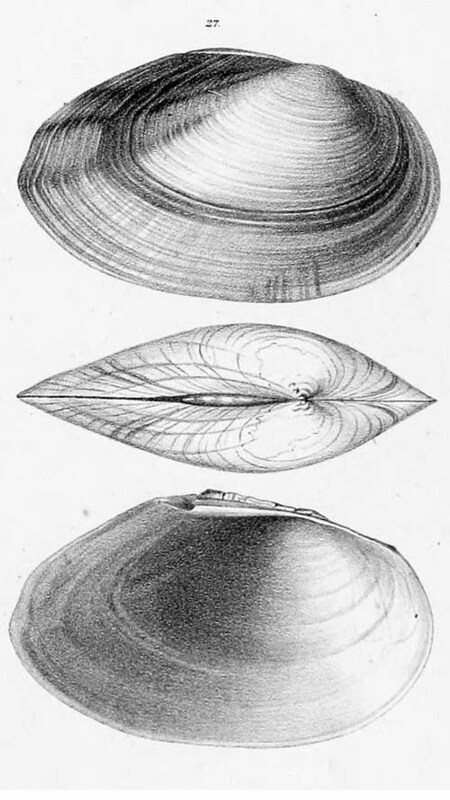 ‘Rafinesque’ Simpson, 1914, Descr. Cat. Naiades: 387 [as by Férussac], 437. ‘Rafinesque’ Campbell & Lydeard, 2012, Amer. Malac. Bull. 30(1): 31.